The most basic and simple of all speaker enclosures is the sealed box or acoustic suspension design. The acoustic suspension design has several advantages: it is easy to build, easy to tune, and offers high power handling, tight response and extended low end output. Acoustic suspension enclosures roll off at 12 dB per octave. 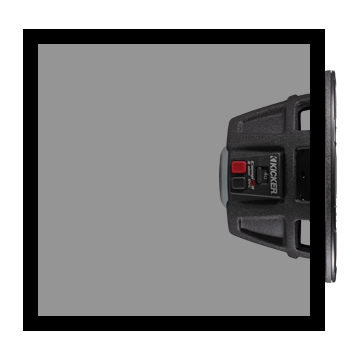 Cone motion is better controlled at all frequencies because of the constant pressure on the back side of the cone, which enables you to run more power to the woofer. They are called acoustic suspension enclosures because the air inside the box acts like a viscous brake to control the woofer. That is why the box must be sealed tight. If there are any air leaks in the enclosure, the woofer cannot function properly.